Average day cares costs about $174 a week per infant. If you hire a nanny, you will pay close to $600 a week. WEST PALM BEACH, Fla. — Michelle Flores can only describe her day in one word: chaos. "If I make it look easy, it's completely by accident," said Flores. She's the director of post-production for KO-MAR productions in West Palm Beach and a mother of two children. Flores loves her toddler and baby, but she also loves her job. "If I break even, as far as finances, we still consider that a win. It's preferable for our family because we see the value in continuing in your career," said Flores. Her kids are in day care, but it can be costly to her family's finances. 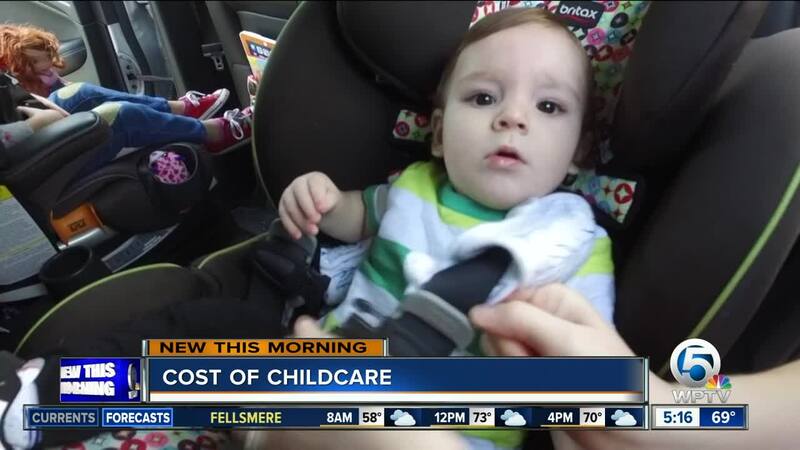 According to Care.com, average day care a week costs about $174 per infant in Florida. If you hire a nanny, you will pay close to $600 a week. "Helping to understand the cost of care is the first step into knowing what your budget is," said Connie Fong with Care.com. "You really have to be thoughtful in what's going to work for my family, and what do I need in a caregiver that is going to meet my budget." The bottom line is there is no one size fits all. "When they do go to elementary school, our costs will go down," said Flores. "Right now, we are paying for two at day care, where even just paying for one is more expensive than in-state tuition at a state college in Florida." There is help to find out what option works best for you. Click here for the "Cost of Care Calculator" in your area, which will help you understand what rates you should be paying based on your neighborhood.